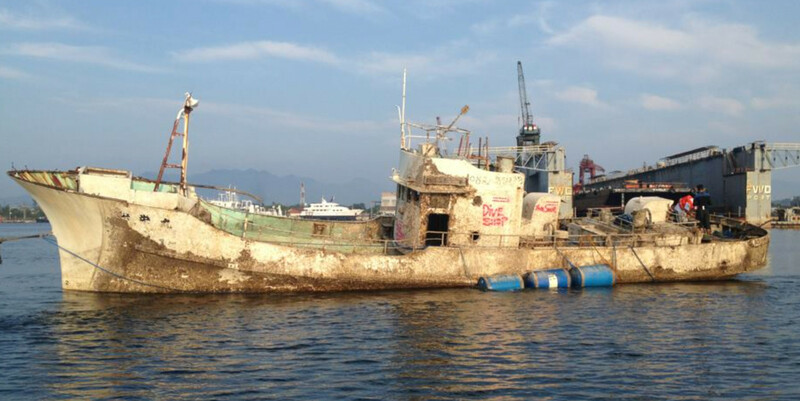 Arizona Dive Shop is the only Dive Shop in the Subic Bay with it’s own House Wreck! The Arizona House Wreck is only approx 200 m (650 ft) out from the beach in front of our Dive Shop. 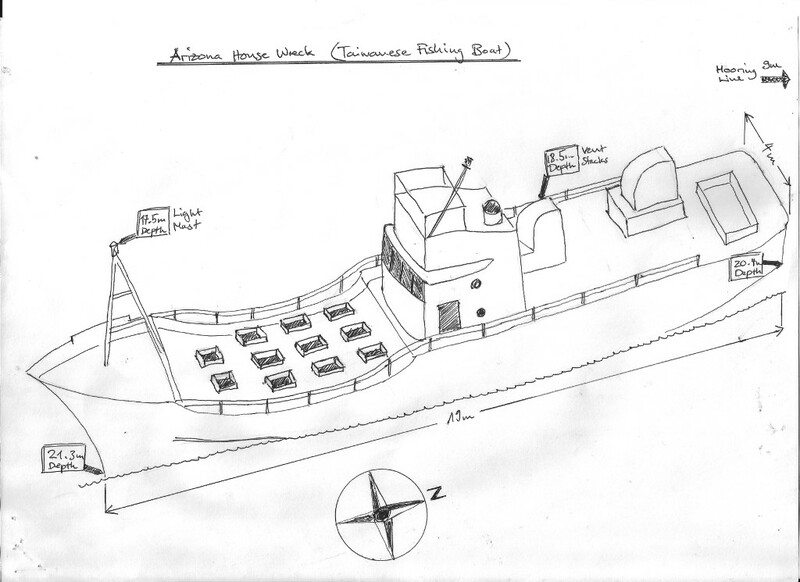 The Arizona house wreck is not only a good fun and night dive site. It is also a perfect training area for several course dives like our very popular wreck course. The Arizona house wreck was a Taiwanese fishing trawler that was confiscated and scuttled by Philippines authorities for illegal fishing activities in local waters. The Arizona Dive Shop was allowed to lift the sunken trawler and sink it again close to the beach where the dive shop is located.